A Washington Post story about the growing Mobile Integrated Health across the Country featured the Prince George's County Fire/EMS Department team. This is the web version of the story which is scheduled to appear in the Super Bowl Sunday edition of the Washington Post. An A1 page story!!! To read the full web version of the story click here. In the 15 minutes after firefighters and a nurse knocked at Thelma Lee’s Maryland townhouse, they checked her blood pressure, told her what foods would keep her blood sugar from skyrocketing and set up an appointment — and a ride — to visit her primary care physician. They also changed the battery in her chirping fire alarm and put a scale in her bathroom so she could monitor her weight before rolling out in an SUV to their next house call. Firefighters in Prince George’s County visit or call her at least once a week in a county project that is part of a growing effort nationwide to rethink 911 services that would reduce nonemergency calls, plug gaps in health care and cut costs to taxpayers, patients and insurers. Lee, who suffers from health issues at 48 that put her at risk for stroke and other life-threatening illnesses, had been calling 911 three times a week and heading to an emergency room almost as often. Now she is one of about 1,400 frequent callers in the county’s three-month-old pilot project. For decades, people have been trained to call 911 for help but now overwhelm firefighters and paramedics with calls that aren’t true emergencies. In one of the more established programs, the Phoenix suburb of Mesa, Ariz., added nurses in its 911 center to help assess the urgency of calls and partnered with a hospital to send nurse practitioners with EMS staff on house calls. A combination of 911 nurse triage and preventive care for 15 cities in the Forth Worth area is credited with saving more than $11.5 million over roughly the past four years in transport costs, emergency department visits and hospital admissions. The efforts have earned approval ratings above 90 percent in patient surveys, said Matt Zavadasky, chief strategic integration officer for the MedStar network. Local hospitals cover the costs of the traveling nurses. Patients avoid unnecessary and costly emergency room visits, Zavadasky said, and the sometimes lengthy ER waits. At least 230 EMS systems in the United States have programs operating as “mobile integrated health” or “community paramedicine,” said Zavadasky, who also chairs a national committee on mobile health. The revamping takes different forms. Some programs coordinate house calls and telemedicine through 911 systems, fire departments or local health departments. Fire departments and hospitals also may arrange transportation to urgent-care centers or doctors’ offices. Joseph Ciotola, EMS medical director and health officer for Queen Anne’s County in Maryland, said the programs fill holes in the health-care net that can be particularly important in rural parts of the country or communities with doctor shortages. “What we’re doing is linking them with both primary care and linking them to necessary services,” Ciotola said. The District is considering a plan to embed a registered nurse in the 911 operations center. The nurse would talk with callers identified with non-life-threatening medical problems after answering questions from operators. The department says it handles more than 200 calls a day where someone needs medical care but isn’t in a life-threatening crisis. After a regional flu epidemic in 2007 inundated emergency systems in Mesa, the fire department innovated. In Prince George’s, the fire department identified residents who have called 911 five times or more in a calendar year and targeted some for home visits with nurses from Washington Adventist Doctors Community Hospital and the county health department. “We talk about medical history, medications, check the house for safety hazards, call Meals on Wheels to eliminate what we can to prevent you from activating the 911 system,” said Brian Goldfeder, a Prince George’s firefighter/paramedic and county mobile health coordinator. The pilot program costs roughly the price of two firefighter salaries — which countywide averages to about $69,000 a slot — and was covered when the department simply shifted Goldfeder and his partner from other jobs. Calls to 911 systems remain high because many communities suffer a shortage of primary care doctors or because people don’t know how to access health care outside of hospitals, Goldfeder and others said. New strategies spread with recent health insurance overhauls, said John Sinclair, president of the International Association of Fire Chiefs and chief of Kittitas Valley Fire and Rescue in Washington state. Insurers don’t typically reimburse fire departments and paramedics who provide medical services unless they physically transport patients to a hospital, making it financially unfeasible for EMS workers to offer preventive medical services, he said. But the Affordable Care Act, several emergency medical officials said, created grants and encouraged programs that deliver care before a person needs a pricey emergency room visit. Officials nationwide report that only 39 percent of patients transported to the emergency room are admitted to hospitals, according to Zavadasky, leaving more than 60 percent of patients with a one-day treatment and bills upward of $4,000. Community paramedicine will become more urgent as aging baby boomers continue to strain a system already short on primary care doctors and nurses, Sinclair said. But building a long-term financial model for that could take legislative action. In early 2016, D.C. fire officials invited nine governmental agencies and the office of Mayor Muriel E. Bowser (D) to suggest ideas for tackling the city’s flood of 911 calls while still addressing patient needs. Twenty six government and medical group staffers from several agencies showed up, a signal of how many city services and city institutions 911 affects. D.C. Fire Chief Gregory Dean said his department has a mandate from Bowser and the D.C. Council to better manage the emergency call volume. Currently, D.C. 911 call takers ask questions that use a computer algorithm to determine what service a caller needs. Under the proposed plan, once calls are determined to be non-life-threatening, a registered nurse would join the call and offer the patient options seeking care at a clinic or primary care setting. For those without rides, District officials are considering using for-hire vehicles, such as taxis or medical transport companies, and requesting that some managed care organizations offer same-day transportation. Cost estimates are not final, but District officials expect hiring nurses to be the primary expense, offset by savings on unnecessary ambulance rides. Holman said between 2 percent and 4 percent of callers in the District who talk with a nurse likely would be referred back to 911 for an ambulance. There have been some liability challenges with outside nurse-advice lines, but people appear to be more comfortable with nurses embedded with 911 call takers, said Kevin Munjal, an assistant professor of emergency medicine at Mount Sinai in New York and an expert on community paramedicine. Often, people who call 911 don’t even want an ambulance, he said. During the three months the Prince George’s program has been in place, Goldfeder and his partner, Kenneth Hickey, point to several successes. For women who called 911 to get their catheter changed or for prescription refills, the department set up primary care visits and pharmacy deliveries. A man with congestive heart failure got with a device to remotely alert health-care workers to swings in his blood pressure and weight, allowing nurses to intervene from afar. The way Goldfeder and Hickey see it, the people they serve would be interacting with firefighters and paramedics anyway. Now, they’re getting the right care without pulling resources from true emergencies. At Lee’s house, after Hickey called her primary care doctor, Goldfeder ran a scale up to her bathroom. Since the regular visits, Lee’s health has improved and she has been to the emergency room only once. 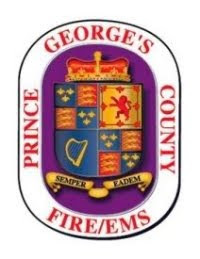 Prince George's County Fire personnel assigned to the Office of the Fire Marshal concluded their on site cause and origin investigation into a fire that occurred around 6:30 am, Friday, February 3 in the 7200 block of Milligan Road in Clinton. It appears the fire originated in the rear portion of the 1-story house in the area of the kitchen. Two young adult occupants were rescued by firefighters and transported to a nearby hospital in Critical Condition. The fire caused an estimated $50,000 in fire loss. The cause remains under investigation pending interviews with all home residents. Preliminary results indicate the cause of the fire is accidental. The two victims were suffering from smoke inhalation and burn injuries. Once stabilized at the local hospital they were transferred to a hospital that specializes in treatment of their injuries. As of Friday night the two were listed in Critical, however, stable condition.